Sometimes, it takes me a little bit longer (or even a lot longer) than a month to create a new book. And yet, it has been sort of implied at the “Love to Color” $25 a month level of my Patreon that you might receive something every month for your $25. Last month, the book wasn’t ready, and the $25 a month subscribers just got a post card (that was actually a weird game, but anyway… subscribe at $4 a month if you want to see that stuff). I felt bad for not sending them anything larger. So, this month, I’ve been working a lot with wool. 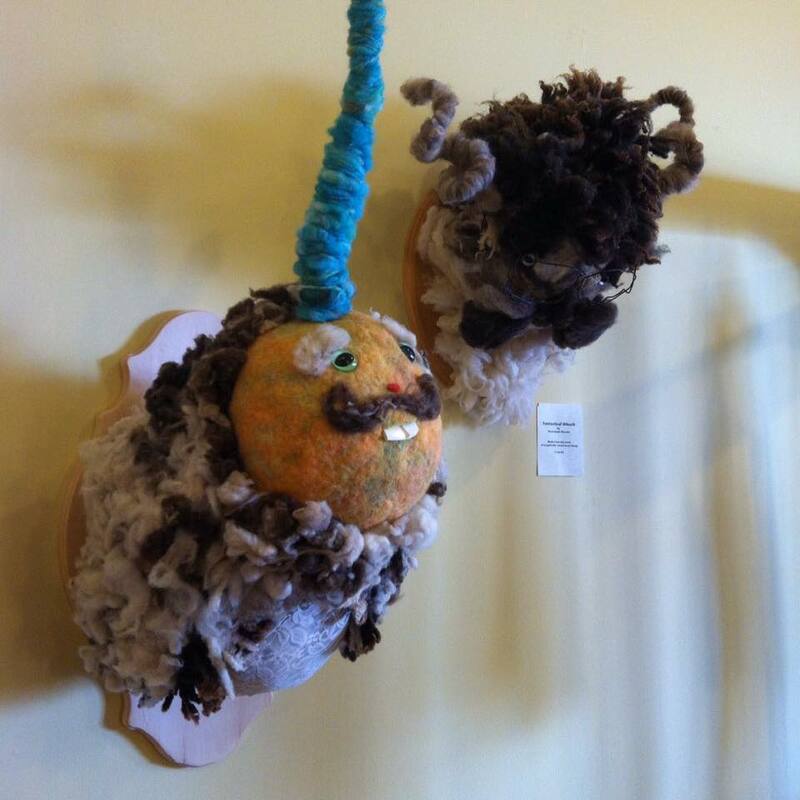 Thanks to the great people at the Cat and Crow in Mounth Horeb, Wisconsin, I’ve learned A LOT about working with wool. But still, no book yet this month. So, I’ve decided I’m changing the $25 a month level of my Patreon. Instead of just books, you’ll get whatever sort of art I’m concentrating on that month—or, if there is a new book, you will get two copies of the new book! So, basically, you’ll NEVER MISS ANYTHING. You can be 100% Artsy Fartsy supporter all the time. Artsy Fartsy A.F. How many will I make? I will make one for every new person who becomes a patron this month at the $25 a month level. And, after that, maybe there will be a book next month. Maybe another art piece. I have a possible project in the works with another member of the Tenderfoot Collective, and that would go out to you, too, sometime in the following months. For this month only, you can get a unique, hand-made Wallflower of your very own by going to Patreon.com/Shoshanah and signing up at the $25 level. Thank you in advance for your decision to support my art and to bring more beauty into your life. 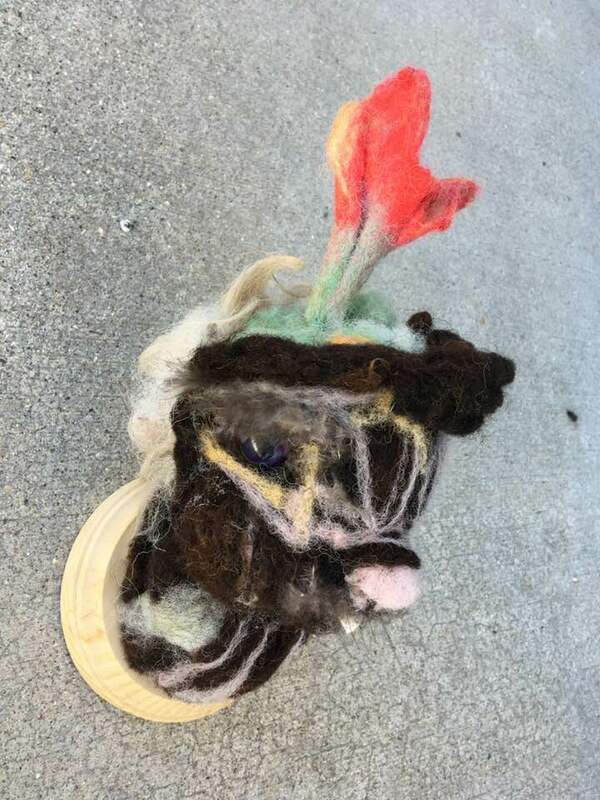 The Cat and Crow ordered another weird wooly creature sculpture from me. That was a while ago. It was summertime, and impossible to find time to do a large creative project without someone asking, “What are you doing? Why are you doing that? Who is it for? That doesn’t look like a unicorn!” Etc. 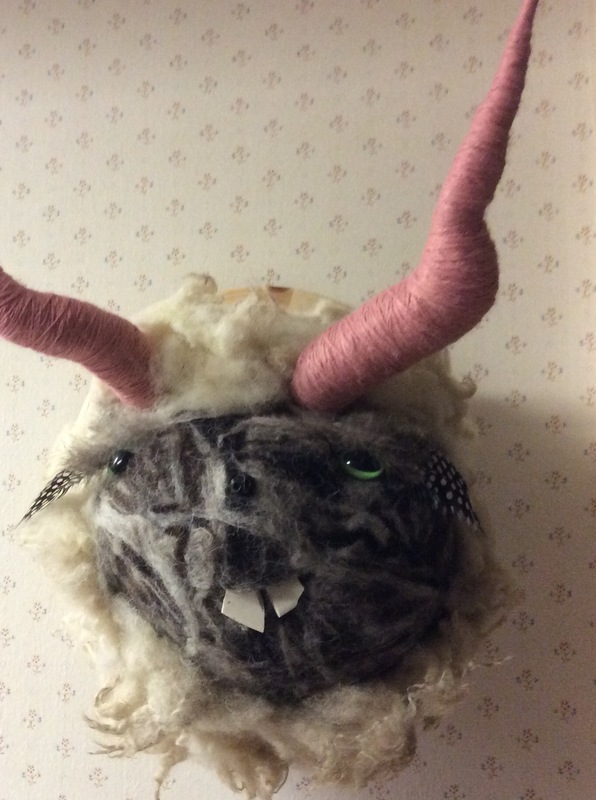 So now that school has finally gone back into session, I had time to do a new wooly creature for the Cat and Crow.